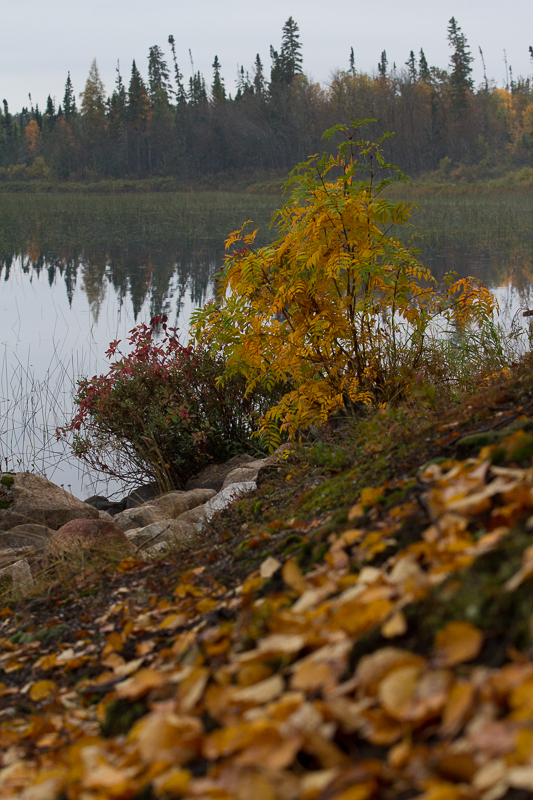 We have been enjoying some of the most colourful scenery this fall. The maples, the definite minority tree here, are bursting with more shades of green, yellow, orange and red than ever. These in particular caught my eye. 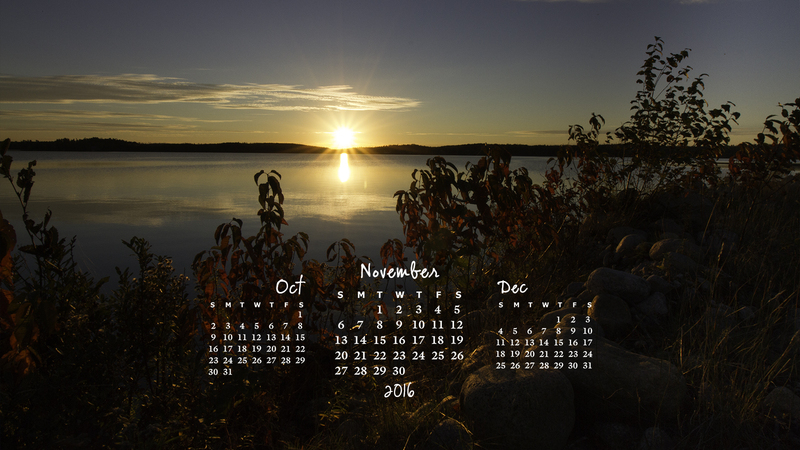 Alternate desktop resolutions are available in the Free Calendar drop down menu. Just because I love this so much, I made a version for my smart phone lock screen. On an iPhone, to make this your lock screen image, save the image to your photos. Go to Settings, Wallpaper, then Choose a New Wallpaper. The image should be the most recent in All Photos. Select it, then Set. 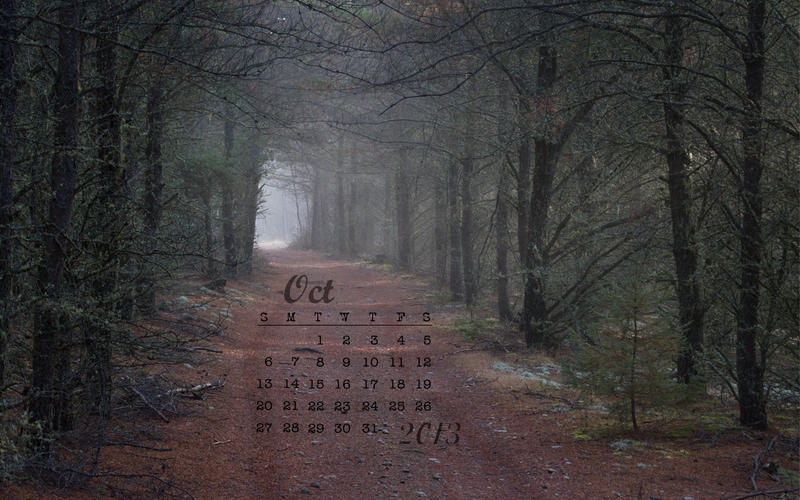 You can choose to have it as your lock screen or be the background behind all the app icons (home screen) or both. Sorry android users, you’ll have to figure yours out on your own. The boreal forest in which we live is a little shy on maples. We are still blessed to have some reds in the spectrum of fall colours as blueberry and raspberry bushes paint the underbrush. Taller foliage is mostly poplar and birch in varying shades of green to yellow. Once the winds have whisked off those leaves, tamarack allow their needles to turn thus extending the days of golden vistas. It’s always bittersweet for us to have summer come to the end. Because we work seasonally, the 7 days per week, from late spring to mid fall gets tiring and the slower pace of the off season is a welcome change. However we are sad to lose warm, sunny days to cooler, damp, shorter ones. We are thankful to be living this life and take pleasure in each day at the lake. We may not get much for glorious red maples in our part of the country in the fall but the under brush of the boreal forest still paints beautiful scenes with flaming yellows and oranges and reds. 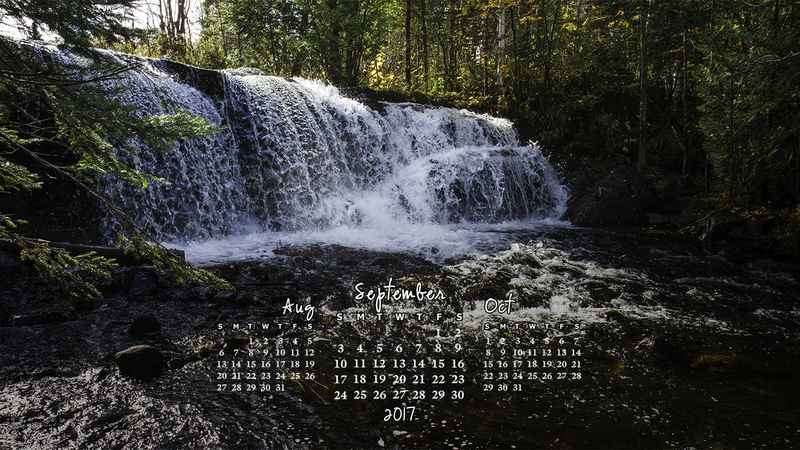 This was taken at the top of the Current River Cascades in Thunder Bay while hiking with my 10 & 7 year old grandsons in early October. 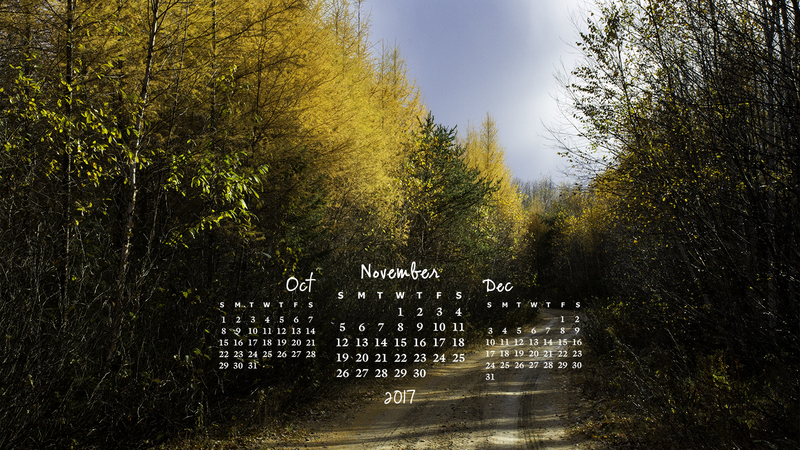 For different screen resolutions of the image, go here or drop down the Free Calendar tab at the top of the page and scroll to November. This fall we have been experiencing the most colourful and vivid fall shades we seen in a number of years. Having had two harsh frosts may have contributed to this unusual condition. Because of the lack of maples here, we typically see only the yellows of birch, poplar and tamarack mixed with the greens of pine, spruce and cedar. Any orange and red is usually proved by low berry bushes in the undergrowth. This season, the random maple is gloriously evident. Even a dreary day like the day these photos were taken, can be aglow. 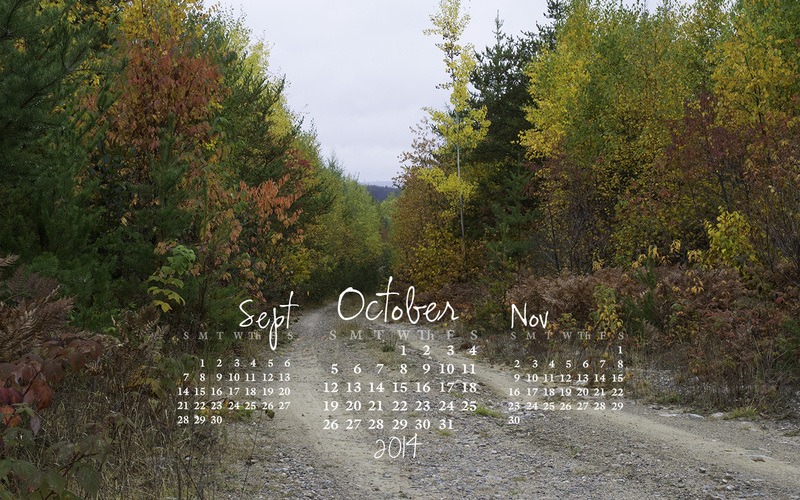 So for the October desktop calendar, I chose a back road scene with the full range of this season’s colour. Enjoy. Shorter days and cooler nights are upon us. With a little humidity overnight, we get some great moody moments. 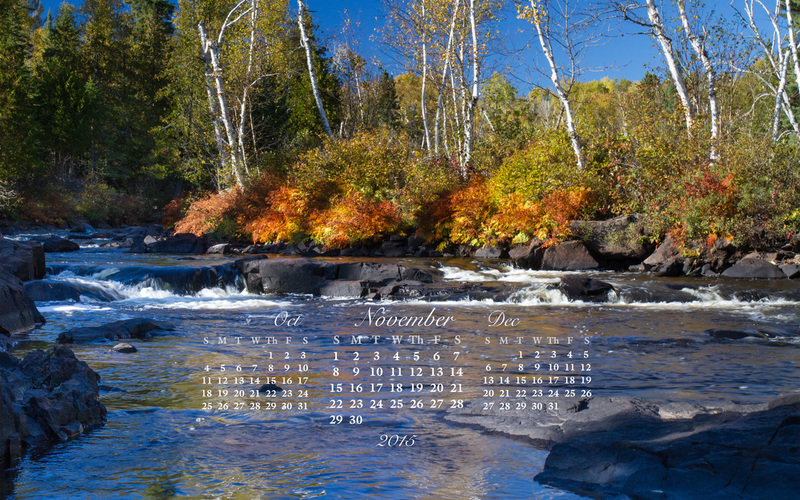 For specific screen resolutions of the image below, drop down the Free Calendar tab above.